AR Gaiters – Handmade sock and shoe protection. Handmade sock and shoe protection. Welcome to AR Gaiters – home of AR Mini, Hiking, Desert and Adventure Gaiters. 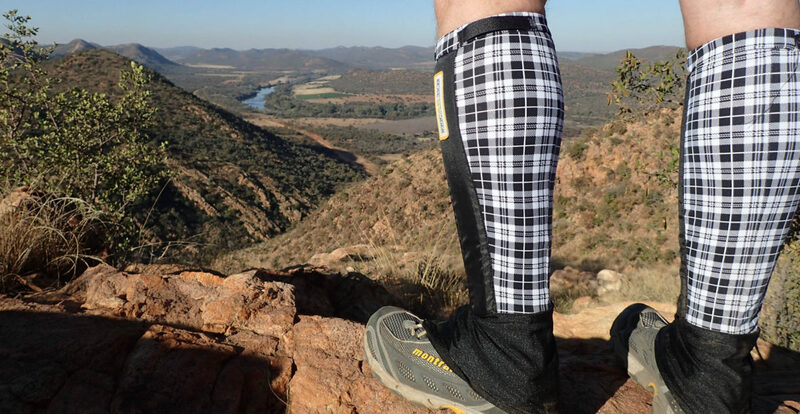 If you’re into trail running, staged races, desert races, orienteering and adventure racing, our AR Gaiters are for you. I’m away from Tuesday 16 April and will be back at my desk on Wednesday 24 April 2019. You are welcome to send through your orders but note that I’ll only respond on my return. These everyday gaiters cover the mouth, tongue and laces of the shoe to prevent trail debris from getting into your shoes. This is a full-shoe covering made for desert and beach running. You won’t have to stop – not even once – to empty sand from your shoes. Built for orienteering, adventure racing and bush whacking, AR Adventure Gaiters are comfortable and hard wearing. We love feet, shoes, trails and running. We don't appreciate blisters, filthy socks nor scratched shins. And that's why we love our Mini, Desert, Adventure and Hiking Gaiters, which have been designed by adventure racer and ultrarunner, Lisa de Speville. We delight in sending our handmade AR Gaiters around the world and reading your stories of races and adventures.